Welcome to Cherry's Boudoir Winter Season Special. I created this special because I'm excited to create a personal and one of a kind present for you to gift to your sweetheart that will knock their socks off! Boudoirs are one of my favorite genres of photography. Boudoirs are empowering, intimate, and the end results are always exciting! 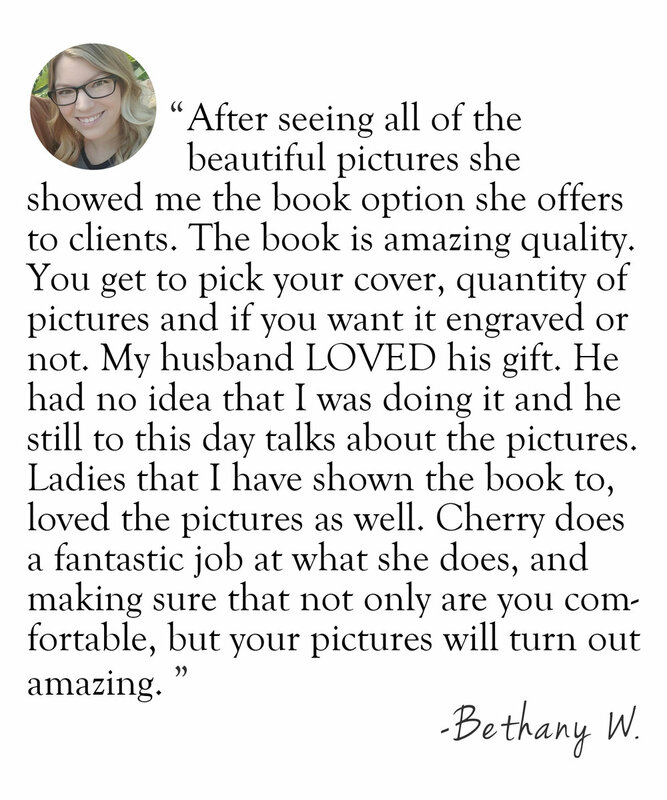 "I was finally able to give Bill his boudoir book this past weekend at our wedding and all he could get out was WOW. He insisted on seeing all of them when we got home at the end of the weekend. He loves them!! Thank you so much!!" This very romantic and thrilling gift is perfect for the holidays, Christmas, Valentines Day, wedding day, and anniversary present! Book now and reserve date today! Cheers! Please inquire to access online gallery.